The sheer miles of trails are fantastic, but what’s really important is that they function as a cohesive network, with signage and trail connections that create a model riding area. Also a very livable city with lodging and dining at a world-class resort. After getting our legs at elevation riding through Round Valley and Matts Flats, we enjoyed a concert at the Deer Valley Music Festival. 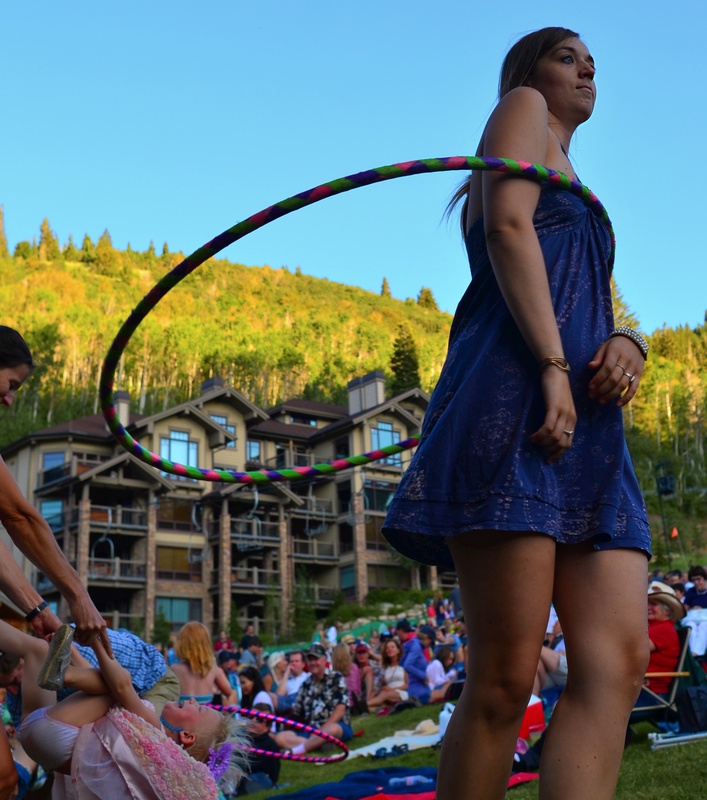 That’s where it seems all of Park City comes out to have a picnic and the children dance while women hoop to the music. Here’s the view from the Montage and some trails where we’ll ride tomorrow. Today it’s the Mid-Mountain Trail.